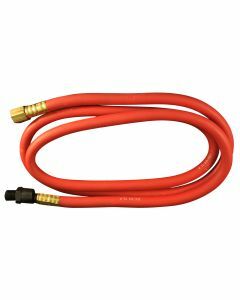 Milton offers a range of 1/2" and 3/8" air leader hoses at 3 or 6-foot lengths. 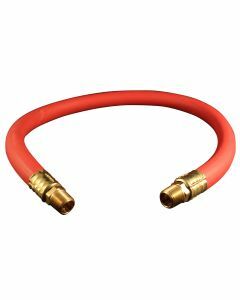 These allow you to easily connect your pneumatic hose reel or compressor to rigid air piping. 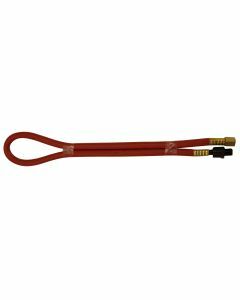 This reduces installation difficulty and lowers the overall vibration/noise to your system versus using hard connections. 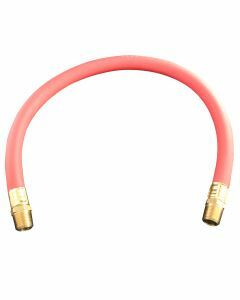 Made of performance EPDM rubber hose and brass fittings. Great for high flow applications. Ideal for connecting supply lines, hose reels, compressors, and other pneumatic system components. 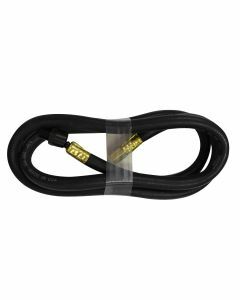 The flexible rubber material retains its flexibility even in temperatures as low as -5° F.